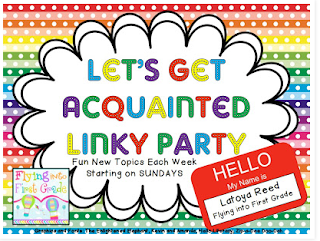 Today, I am linking up with Latoya from Flying into First Grade for her weekly "Let's Get Acquainted" Linky Party. Since blogging is something fairly new for us in these past couple of months, this has been a fun way to linky up with new blogs and learn more about each other! So here goes . . . The topic is "Stranded on an island, what three things would you have to have with you??? Here is what I couldn't live without! 1. 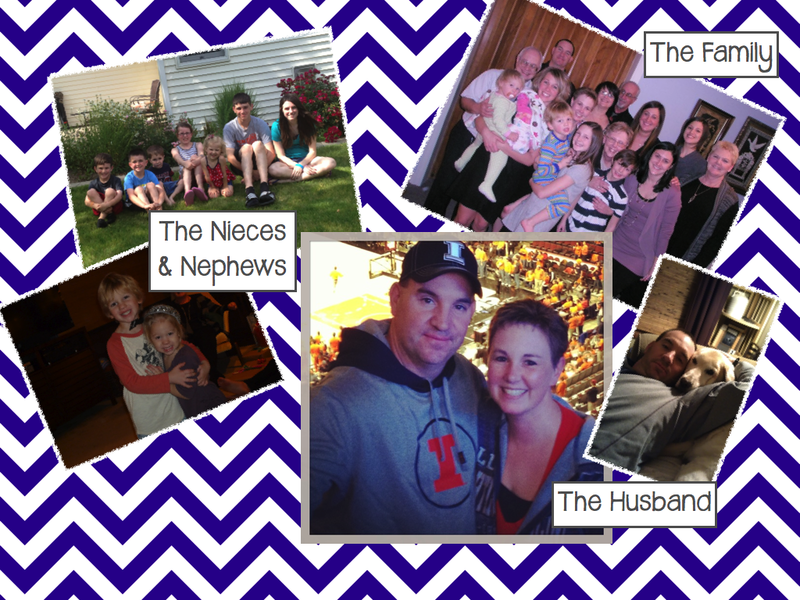 The husband and my family. My husband and I have 9 nieces and nephews ranging in age from almost 4 to almost 16! They are a ton of fun and they would definitely make life on an island more interesting! 2. Music! 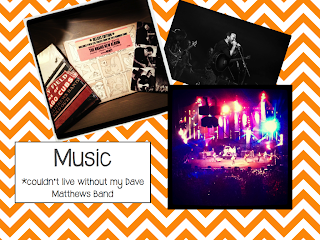 I couldn't live with out my music, especially Dave Matthews Band - my all time favorite band to listen too! We go every summer to at least one concert. (I would need them to come to the island to perform for sure!) I would also need my Ipod with all of my music stored on there. I love a wide range of music from AC/DC to most anything 80s to 90s Alternative (Pearl Jam, Nirvana, Collective Soul, etc.) to Mumford & Sons and the Lumineers. 3. 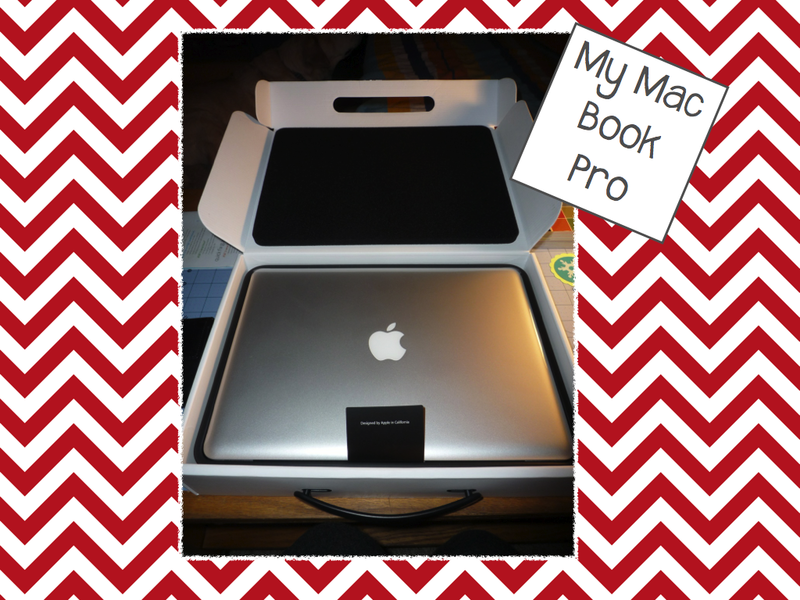 My MacBook Pro! This way I could watch the St. Louis Cardinals and Illinois Basketball along with all many TV shows I love! I could continue to blog, catch up on Facebook, etc. So now, head on over to Flying into First, link up with her Let's Get Acquainted Linky Party, and discover some fabulous new blogs!! Sounds like your island is going to be one busy, rocking place! I hope so Lori! Just checked out your blog and I love it! Chapstick was something I would definitely need on an island too!! Wow! Your island sounds like fun! And here I was bringing water and sunscreen - boring. Come join us on our island Kimberly!! On my way over to check out your blog! I am liking your three items!!! Now I am thinking I went a bit on the selfish side on my three! I am thrilled that the linky brought me to you! Happy to be a new follower! So glad you are following us Julie! On my way over to check out your blog too! Thank you so much for stopping by our blog! It's nice to have another blogging friend and CARDINAL fan. We live in Illinois just two hours from St. Louis so we love to go to CARD games. Thanks for stopping by Alison! I wish we were closer to St. Louis and able to go to more CARDS games! So happy to have a blogging friend that also shares my love of the Cardinals! Hope you have a great end of the school year!! You have such a cute site! I just found you through the linky party. Thanks Misty! Heading over to check out your blog now!